The antiquarian book above is actually two volumes in one. 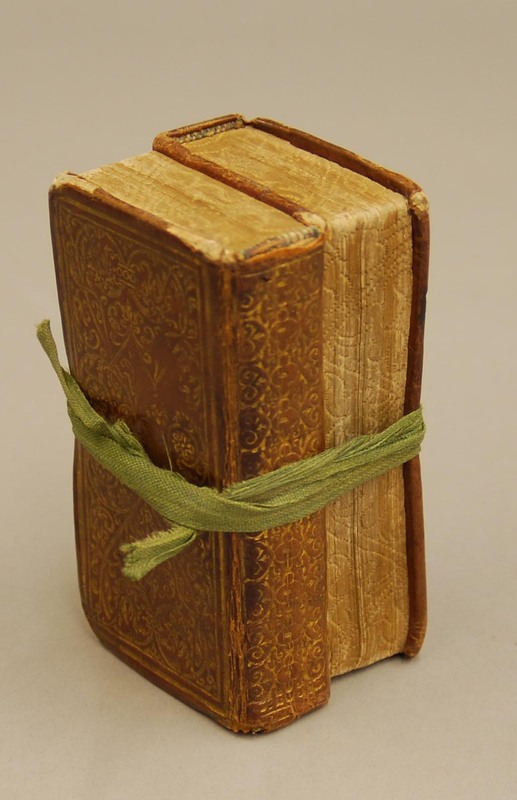 This rare style of binding is usually referred to as dos-a-dos, from the French “back to back”. As the term suggests, these books share the same back cover. 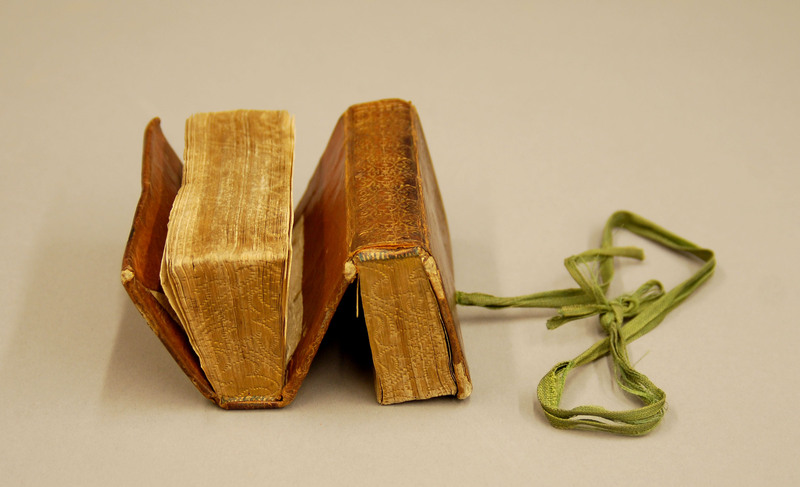 Books bound in this style were briefly popular in Europe during the 17th century, but were not common by the late 18th century. 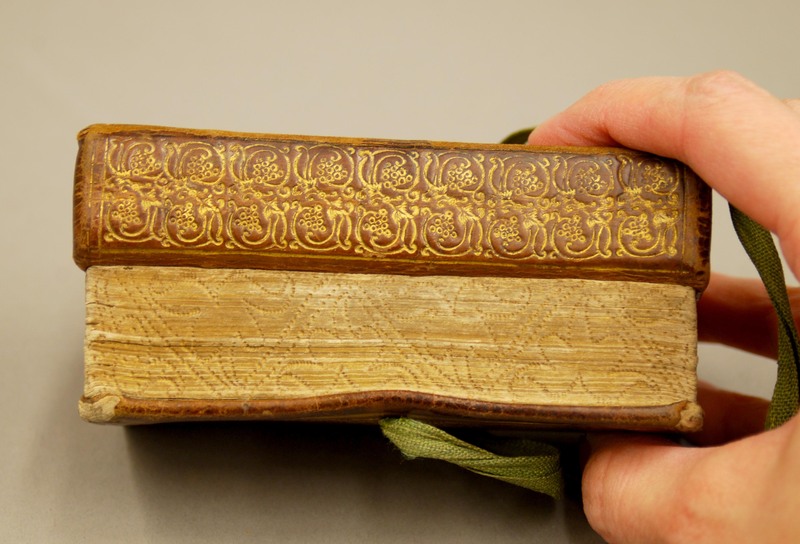 This volume is bound in leather, with gold-tooled patterns, and gauffered decorative effects achieved by placing a heated tool on the page fore-edges. Just don’t confuse it with do-si-do; that’s for square dancing. 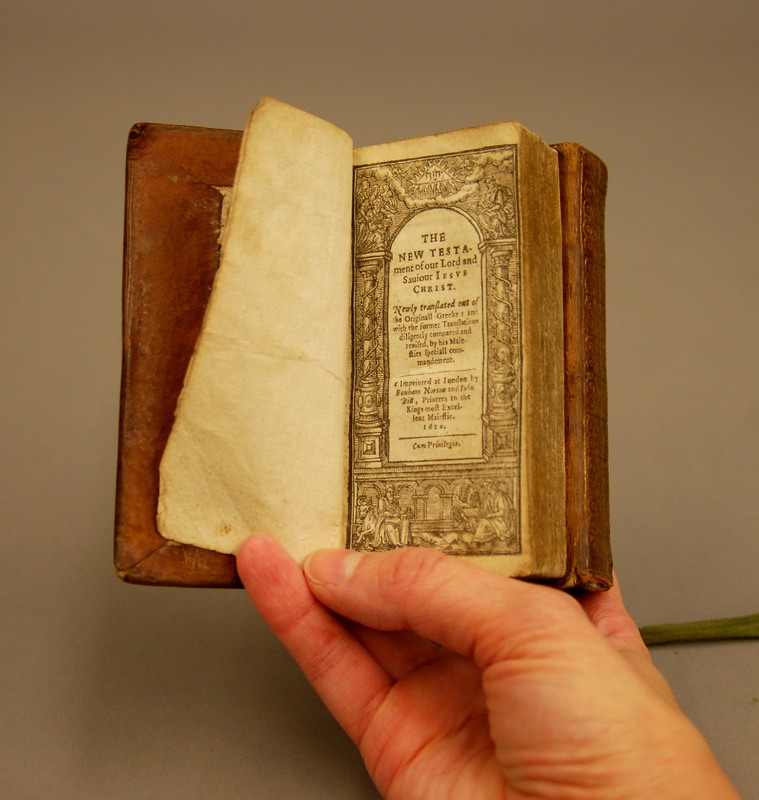 This entry was posted in Art, Books, Europe and tagged Antiquarian Books, Bookbinding, Publishing and Printing. Bookmark the permalink.